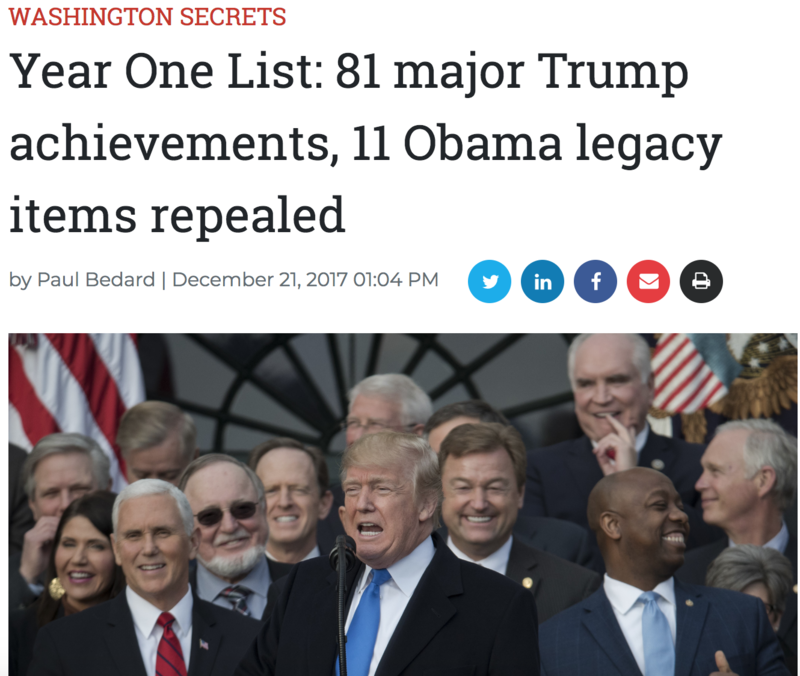 Trump’s list: 289 accomplishments in just 20 months, ‘relentless’ promise-keeping | What Did You Say? “Trump has an advantage over Ronald Reagan: He has a Reagan Republican House and Senate while Reagan had a [Democratic Speaker] Tip O’Neill House and a pre-Reagan Republican Senate. Reagan and [former GOP Speaker] Newt Gingrich were the ice breakers that allowed Trump’s victories to grow in number and significance,”he added. And shockingly the NAFTA achievement is presented as a sidebar to the larger achievement that reads, “President Trump is negotiating and renegotiating better trade deals, achieving free, fair, and reciprocal trade for the United States.”Under that umbrella are eight trade deals cut with Japan, South Korea, Europe and China. “They told him he couldn’t be president and beat the establishment and he did. For two years the establishment is telling him he can’t do things in Washington and he’s succeeding in spite of them. He never retreats. He doesn’t back up. He’s relentless. He just wins,”he added. Comparing the two years shows that the latest has an expanded group of economic achievements while the pro-life category was folded into the health care section. Along the way, there have been some disappointments, such as failing to replace Obamacare, fund a big infrastructure plan, and build the border wall.